Hi. I’m Jess. I edit books and sometimes even write them. 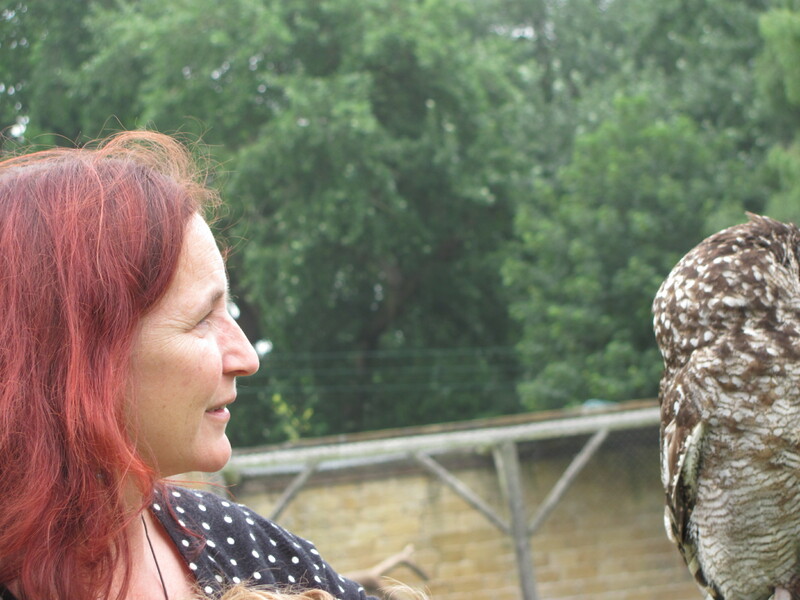 This is a picture of me and an owl. I love owls, but they’re not a bit cute and cuddly. This one looked like it would have been happy to take my finger off. Me with a badass owl. (1) I’m the world’s greatest procrastinator and time-waster. (2) Because of #1 I’m also an extremely disciplined writer. Working efficiently gives a person more time to waste! (3) I have a second degree black belt in tae kwon do. (5) I have a rather salty vocabulary. (6) I don’t mind washing, drying, and folding laundry, but I hate putting it away. (7) I still don’t know what I want to be when I grow up. (8) I prefer stinky cheese to chocolate. (9) My house is clean but untidy. Clean and tidy are *not* the same thing. At all. (10) I’m addicted to instant espresso. (11) My bra size is…HAHAHAHAHAHAHAHA Did you really think I was going to put something like *that* on the internet? (12) I can do 100 good pushups without breaking a sweat. (13) I hate running, but I do it several times a week anyway. (14) I’ve never broken a bone. Of my own. (15) I have a horror of mayonnaise. (16) I love planning and throwing parties, especially birthday parties for little kids. (17) My favorite color is electric lime green. (18) I usually wear a wool beret at all times during the winter. (19) I like rainy days better than incessant heat and sun. (20) I work at a standing desk (ie; the kitchen counter). I confess, after I read #14 I inserted a “Bwahahahaha!” at the end.